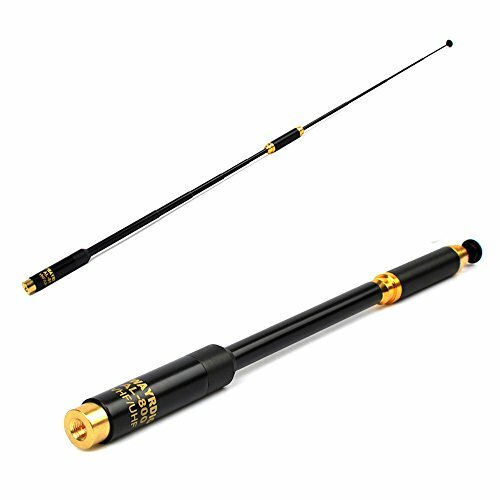 TWAYRDIO AL-800 SMA-male Dual Band whip Handheld Antenna. 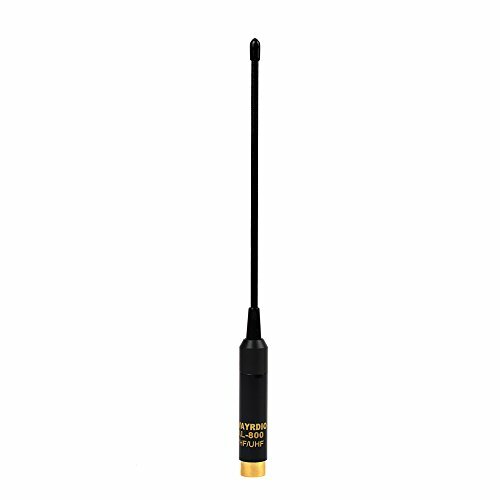 Dual Purpose Antenna, choose different kind of antenna in different circumstances, the package include two kinds of antenna the telescopic one and the ordinary one, with a connector base. Ordinary antenna length: 220mm(with base). Bare ordinary antenna length: 162mm. Bare telescopic antenna length: 153mm, whole telescopic antenna length: 231mm(retracted)/860mm (full length). onnector: SMA-Male Ham Radio Antenna. 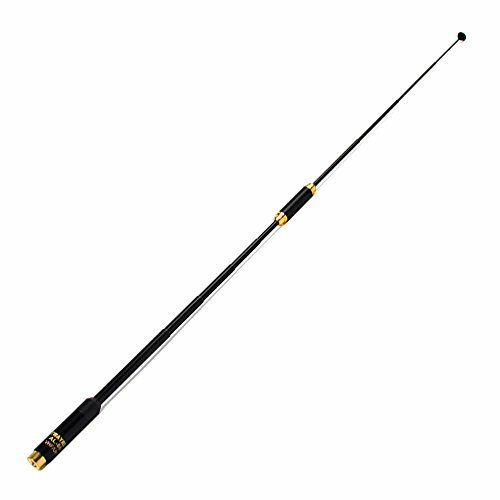 TWAYRDIO SMA-Male Dual Band Antenna Quality Telescopic Antenna with High Gain and Low SWR, Help you Boost up your Ham Radio. 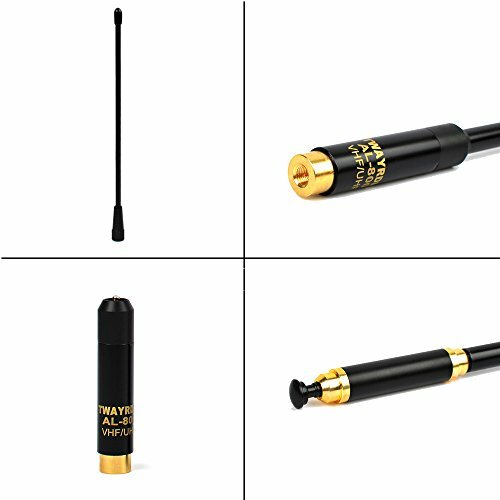 Dual Purpose Antenna: Telescopic Antenna and Ordinary Antenna. 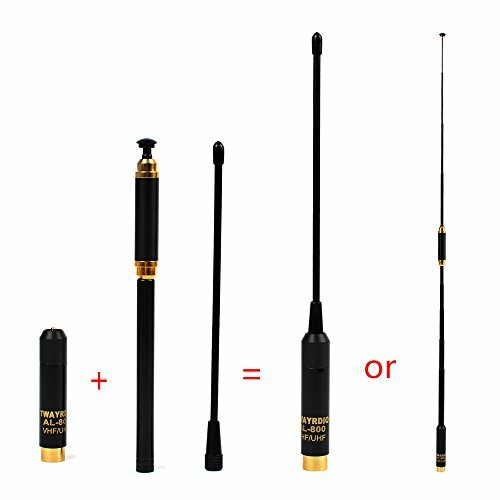 Can be interchangeable, use different antenna in different circumstances, the antenna is very easy to disassemble and easy to carry. Ordinary antenna performs best on UHF frequency. and ordinary antenna length: 220mm(with base). Bare ordinary antenna length: 162mm. 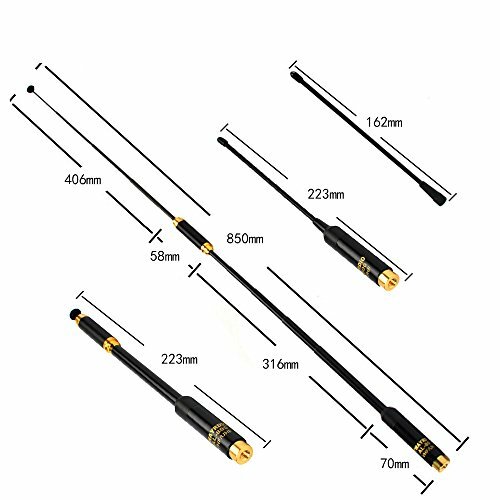 Bare telescopic antenna length: 153mm, whole telescopic antenna length: 231mm(retracted)/860mm (full length).